Conventional medicine has been treating cancers with surgery, chemotherapy and radiation since decades, yet, more and more patients are looking towards other systems for help in the fight against cancer, in addition to conventional treatments. Why is that? It is obvious that current methods of treating cancer are not being truly successful and after a brief respite, the cancer often tends to flare up again with rapid deterioration of the patient. The treatment methods also leave the patient debilitated and weak, with their systems no longer being able to cope with even minor demands. If life is prolonged, the quality of life is indeed questionable. This has led to the field of Integrative Oncology where complementary and alternative methods are used, in conjunction with standard conventional measures of cancer treatment. Integrative Oncology methods take a more holistic approach. With this approach, one realises that the cancer cells themselves are not the villains. They are just the manifestation of something going wrong within the defence mechanisms of the body. It is now known that tumour development is preceded by a pre-tumour phase that may persist for years if not decades. There is a gradual failure of the immune system with the system becoming unable to distinguish between self and non-self. A healthy organism with a fully functional immune system identifies malfunctioning cells as alien and destroys them. Plenty of such cells arise from time to time in every individual. Failure of the monitoring system may result in de-differentiation of cells in certain organs which are then no longer under central control. These cells begin to program their own ‘circuit diagram’ and it is then possible that they may proliferate without any control. The code of those deviant cells no longer connects with the ‘human being’ program. This is the view now taken by modern molecular biologists and it confirms the statements made many years ago by Rudolf Steiner, the founder of Anthroposophy. In the early part of the 20th century it was Rudolf Steiner, PhD., an Austrian natural scientist and philosopher, who established Anthroposophic Medicine as one of the many developments he gave the impetus for. The word anthroposophy is derived from the Greek words anthropos=man and sophia=wisdom. Anthroposophy represents a way of dealing with science and life issues, in general, in a holistic way. It incorporates all fields of modern science into a spiritual and comprehensible approach. Rudolf Steiner was not a physician. Therefore, he founded Anthroposophical Medicine and the Medical Section at the Goetheanum (in Dornach, Switzerland) in association with the Dutch physician Dr. Ita Wegman (1876 to 1943). As early as 1917, Rudolf Steiner suggested the injection of mistletoe extracts for the treatment of cancer. It was Dr. Ita Wegman who in the early 1920s introduced the mistletoe preparation Iscador into actual cancer treatment. Mistletoe is one of the most widely studied complementary and alternative medicine therapies in people with cancer. In Europe, preparations made from European mistletoe are among the most prescribed drugs for patients with cancer. Mistletoe extracts are marketed under several trade names, such as Iscador, Helixor, both of which are available in Europe. Helixor mistletoe products were developed in the 1970s by the non-profit Association for Leukemia and Cancer Therapy in an attempt to improve the therapeutic success with Viscum Album through a new manufacturing process. Since 1975, manufacturing and marketing are in the hands of Helixor Heilmittel GmbH. 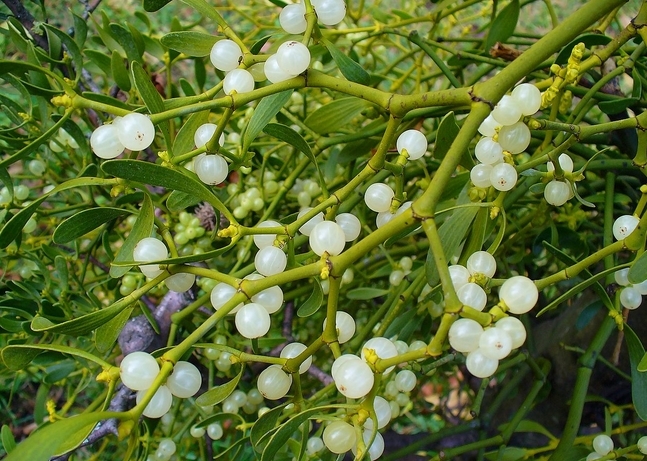 There are about 1400 mistletoe species around the world. One thing that they all have in common is that they do not root in the mineral soil but live on other, generally woody, plants. Only white-berried mistletoe (Viscum Album) is used to treat cancer. Since I have already elaborated on Iscador in another article, here I will give an introduction to Helixor. Helixor is a composition of purely aqueous fresh plant extracts from the white-berry mistletoe. It is produced using special rhythmic flow methods developed by the Helixor company in Germany and without using fermentation (Iscador is fermented). There are three main types of Helixor – A, M and P.
Helixor A (Abietis) made from fir mistletoe. Helixor M (Mali) made from apple tree mistletoe. Helixor P (Pini) made from pine mistletoe. 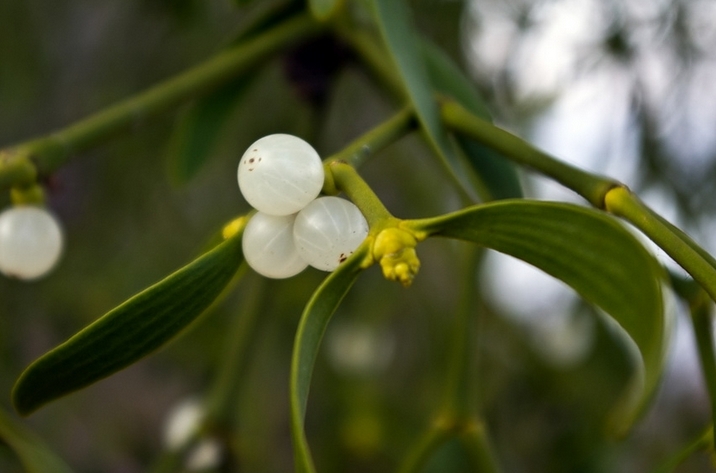 Mistletoe extracts have different classes of substances with different effects on tumour cells and immune cells. 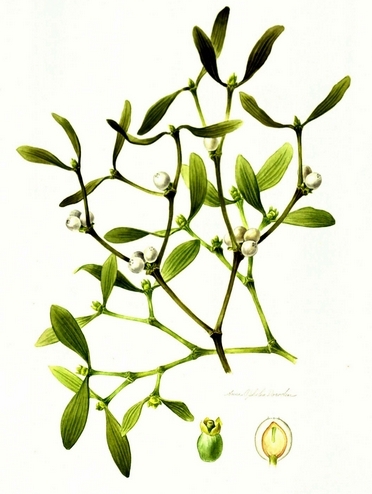 Mistletoe extracts have glycoproteins (mistletoe lectins), polypeptides (viscotoxins), oligo- and polysaccharides, flavonoids, phenylpropane glycosides and triterpenes. These different constituents have different degrees of cytotoxicity and some of them produce induction of apoptosis and display antiangiogenesis. On immune cells, there is macrophage activation, release of Tumour Necrosis Factors and Interleukins, increase in phagocytosis, stimulation of T-helper cells, adjuvant increase in immune response, antioxidant and anti-inflammatory effects, immunoprotection. 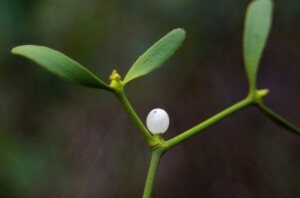 In general, the mistletoe constitutents show DNA stabilisation effects, which play an important role in prevention of recurrence. The cytolytic and cytostatic effects are only seen on cancer cells, leaving healthy cells intact. The whole extract is the active ingredient of the mistletoe and only the whole extract in its complexity is able to achieve the complex effects. Each type of Helixor is available in about 9 different dose levels or strengths. Different packs have been created, for convenience of use depending on the different therapeutic needs of patients. The choice of the Helixor product allows the physician to ‘fine-tune’ the mistletoe therapy according to the individual situation of the patient. Immunomodulation creates reduced susceptibility to infections and indirect immune-mediated tumour inhibition. DNA stabilization (immunoprotection) produces better tolerability of chemotherapy and less immunosuppression by chemotherapy. Neuroendocrine effects lead to improved quality of life esp. reduction in fatigue. Tumour inhibition effects (increased apoptosis and reduced angiogenesis) lead to prolongation of survival time and tumour regression in specific cases. These direct inhibition effects are only possible with the intratumoral application and are more moderate with a peritumoral application. Relapse prevention following tumour surgery. Defined precancerous conditions like chronic hepatitis B and C, ulcerative colitis, intestinal polyps, cervical intra-epithelial neoplasias. Benign tumours like uterine fibroids, endometriosis, brain tumours. Therapy is not contraindicated in patients undergoing surgery, chemotherapy or radiotherapy – however, close monitoring of the patient reaction and a reduction of dose may be needed. The injection has to be subcutaneous, ideally injected with a short needle at an angle of approx 45 degrees, after forming a 2-3 cm thick fold of skin. Insulin syringes are ideal for the purpose. Preferred injection sites are the upper arms (not for breast cancer patients), abdomen and upper thighs. The injection should be taken during morning hours, before noon. The usual protocol is to inject Helixor 3 times a week on Mondays, Wednesdays and Fridays. From the 3rd year, depending on your response to the treatment, the physician may choose to give the injections twice a week. The physician will also choose a regular pattern for breaks of a fortnight after every 14 injections during the Maintenance Phase. The physician may choose to give daily injections in some cases. Do not inject near inflamed skin areas, areas intended for surgery or near fresh surgical scars, avoid areas treated with radiotherapy. Always inject at varying sites esp. during the Induction Phase. The local reaction from the last injection must subside before the next injection is administered. The treating physician decides on the duration of treatment, however certain guidelines exist. So long as an increased risk of relapse exists, therapy for the prevention of relapse should be carried out. Generally, a 2-year intensive therapy followed by subsequent phasing out with increasingly longer pauses/breaks can be recommended. In general, mistletoe therapy can be discontinued after 5 years. In cases with tumours which tend towards late relapses (breast cancer, renal cell carcinoma, malignant melanoma), the prevention of relapse treatment should not be discontinued after the 5th year and should be continued as long-term treatment, using 2 series packs twice a year. In cases of inoperable or metastasizing tumours and incurable systemic diseases, the palliative therapy should be continued indefinitely as long as the patient benefits. 1) Local skin reaction – This is a local reaction on the skin at the site of the subcutaneous injection. This is an inflammatory response and is desirable – it is not a sign of intolerability or allergy – it shows that the skin’s immune cells have been activated by the administered dose. The ideal reaction is about 3 cm. If it approaches 5 cm or crosses that, you have to inform the physician guiding your Helixor therapy, so that the dose can be modified. This local reaction will likely be warm, slightly swollen and slightly itchy as well. It normally subdues within 2-3 days. It is best checked immediately prior to the next planned injection. Do not administer the next injection if the previous reaction still persists. 2) Temperature reaction – A temperature rise is a good sign of an increased release of transmitting agents of the immune system (cytokines). A rise in temperature, between 0.5 – 1 C (0.9 – 1.8 F), is seen, usually 4-12 hours after the injection. This often leads to a feeling of warmth and not of cold/shivering. There should be a mild rise in mean temperature levels which is often very low in tumour patients. Also, there may be an increase in temperature amplitude by at least 0.5 C or 0.9 F, also on injection free days. This creates a good daily rhythm instead of the typically flat or chaotic temperature curve seen in tumour patients. Ideally the patient should check oral/rectal temperature every 2 hours with an electronic thermometer, (with patient being at rest for about 30 minutes before measuring), for 2 days prior to starting the injections, so the physician can have a baseline graph. The thermometer tip should be placed deep below the tongue. During the Induction Phase, temperature mapping should ideally be done daily, about twice a day; once in the morning before getting up and again at the time of expected maximum temperature (which is determined by the temperature mapping done before the start of injections). During Maintenance Phase, temperature mapping can be done only for check-up purposes, for approx. 1 week every 3 months. Your physician can provide you with a Temperature Control Chart in which entries can be made. Based on these reactions, the ideal dose level for the patient is determined. 3) Blood tests (CBC) are also recommended from time to time – monthly in the induction phase, later every 3-6 months – we initially want an increase in WBCs with an increase in some immature forms. From week 3, we may see an increase in eosinophils. After 1-3 months an increase in absolute lymphocytes. Advanced progressive tumours are accompanied by localized and systemic chronic inflammatory changes, which manifest as an increased ESR and increased C Reactive proteins. Successful mistletoe therapy leads to significant reduction of these inflammatory changes and this manifests as normalizing of ESR and CRP. These parameters are hence to be monitored for advanced metastasizing tumours. Depending on the patient’s situation, the goal of therapy will differ and different treatment schedules are used. However, with any treatment schedule, dietary and lifestyle changes are also imperative. The Anthroposophic approach covers all aspects of life and treatments ideally should include conversation-free psychotherapy like art therapy and music therapy. When the human being focuses on his individual purpose in life and makes changes for the better, dramatic therapeutic results can often be seen. Compendium of Mistletoe Therapy with Helixor in integrative Oncology – Helixor Heilmittel GmbH, Germany. Introduction to Anthroposophical Medicine – Robert Gorter, MD. Cancer as a Disease of Our Times – W. Bühler and R. Leroi. Translation by Dr. R. Goldberg, M.D., 1979. This entry was posted by Dr. Firuzi Mehta on Wednesday, 18th January 2017 at 4:02 pm under Articles. Tagged cancer, Helixor, Integrative oncology, Iscador, Mistletoe therapy. Responses are currently closed, but you can trackback from your own site. Follow any responses to this entry through the RSS 2.0 feed.